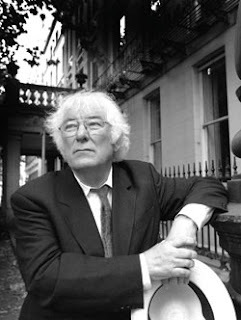 I woke this morning to a facebook feed full of homage to Irish poet Seamus Heaney who died this morning. My father and I saw him read at Aquinas College when I was twenty-two in a small, overcrowded theatre. I remember him saying that a poet was one of the only professions that still carries a spiritual, mystical weight. And he also said, to a child who asked how to be a poet, through hard work.